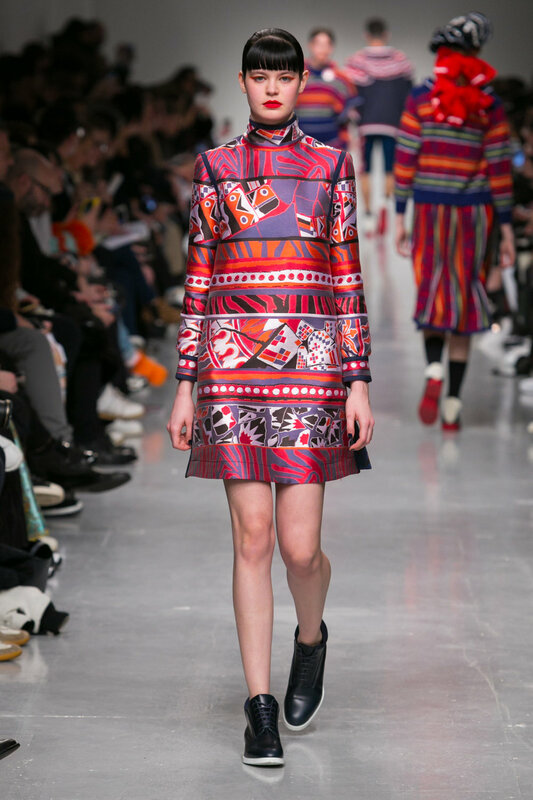 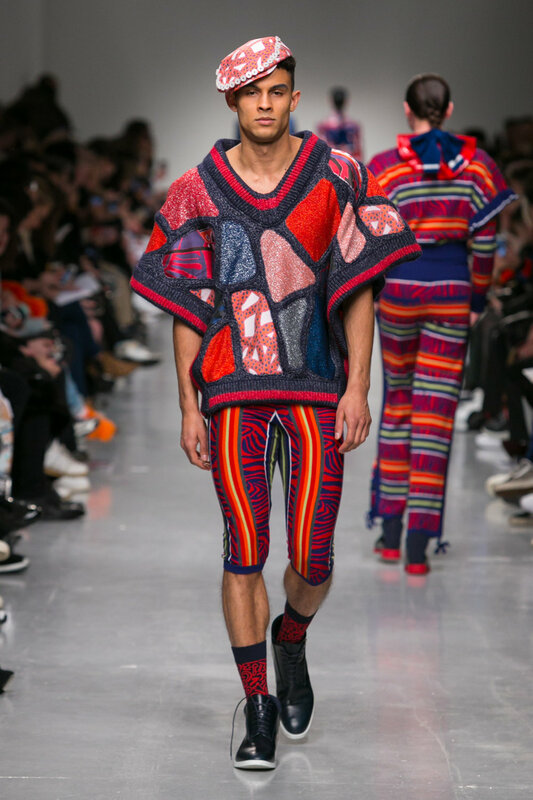 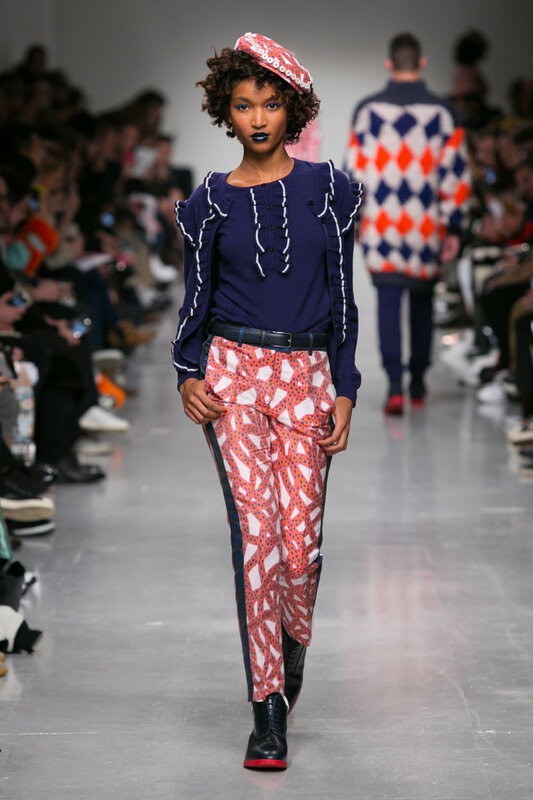 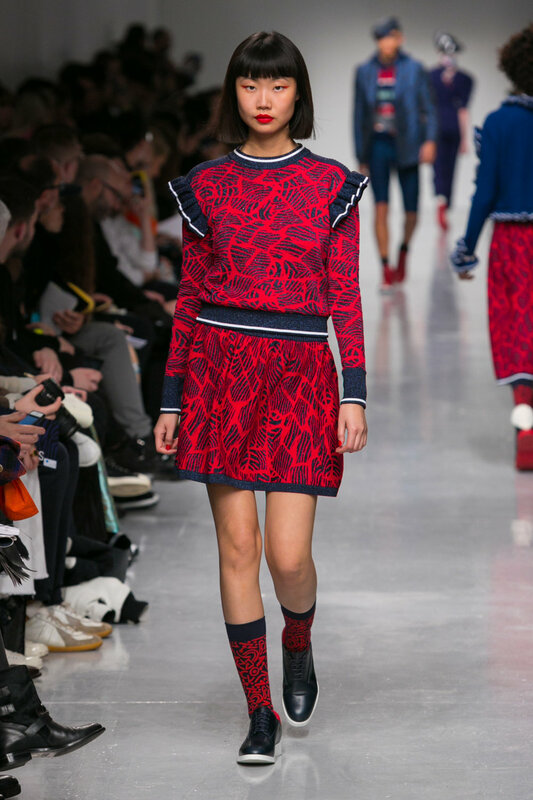 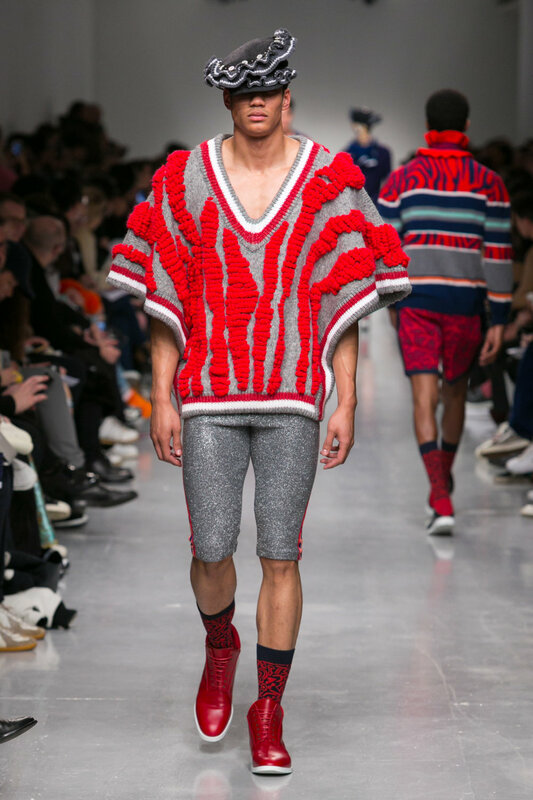 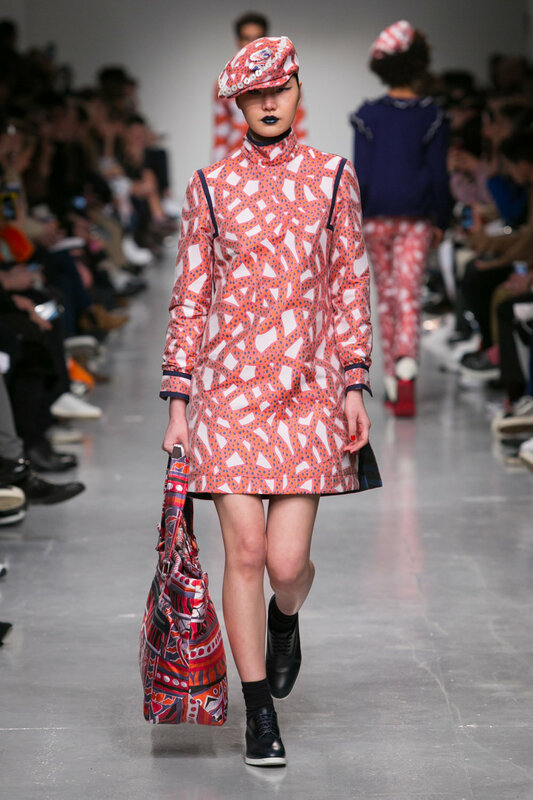 On January 8th Sibling exhibited a concoction of British and Spanish influences for their collection at London Fashion Week. 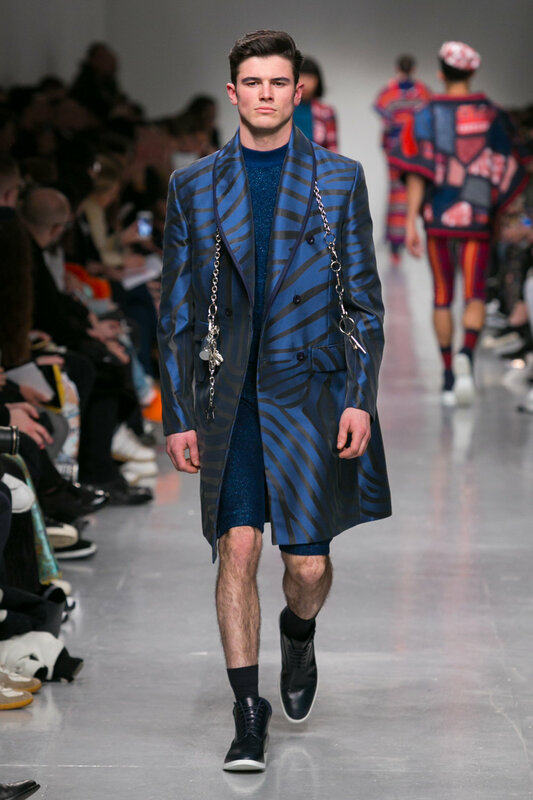 Showcasing jumpers, suits, bomber jackets and harnesses, the collection saw influence from Spanish architect Antoni GaudÍ, who gained worldwide recognition for his vibrant, innovative approach to mosaics. 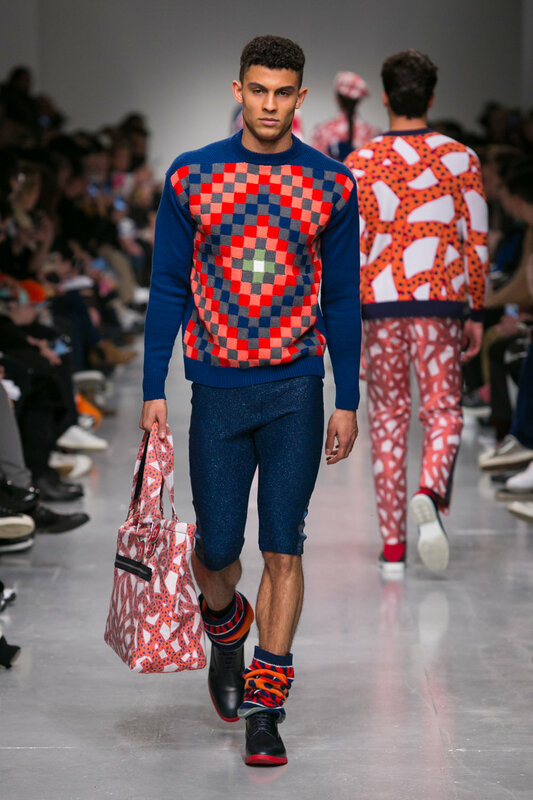 This influence was particularly noticeable in the winding coral patterns that weaved in and out of one another and graced the jumpers, bomber jackets and streamlined trouser panelling, echoing the meandering structures of Parc Güell. 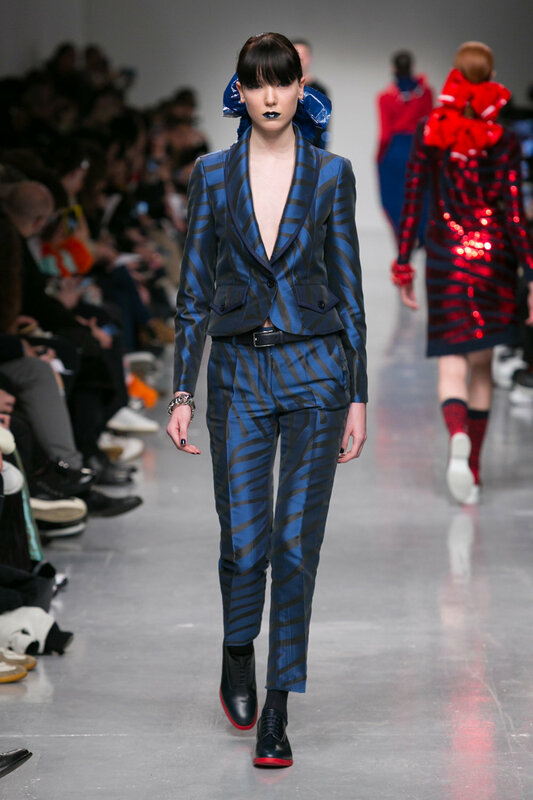 The satiny suits and trousers also possessed mosaic style patterns, with clashing stripes and dots at an assortment of angles building up on the surface, creating a ‘pieced together’ effect. 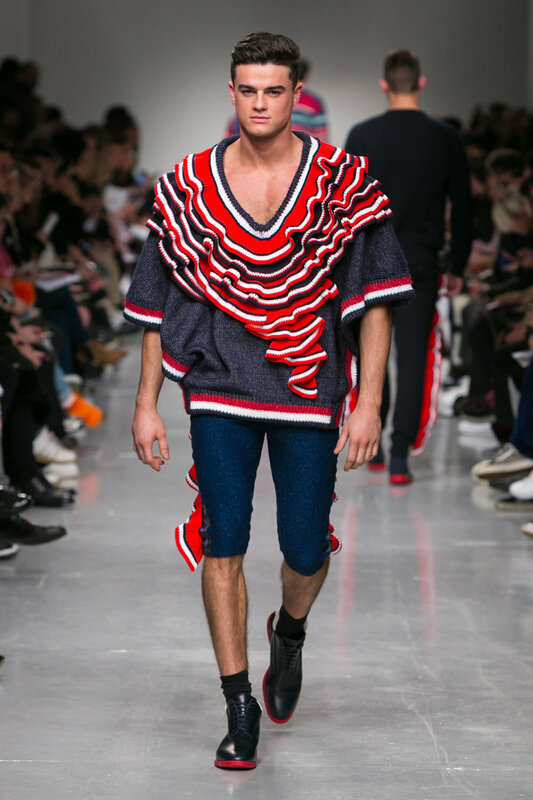 Perhaps coincidentally, much of the colour scheme that comprised the collection signified the red, white and blue of the British flag, more obvious influences were seen, however, in the brilliant white ruffled collars that clad the necks of models, and the double breasted royal blue coat, that evoked a monarchical air.